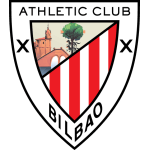 Athletic Bilbao vs Real Valladolid predictions for this Saturday’s clash in La Liga as the Basque giants target another much needed home win. Read on for our free betting tips and predictions. Valladolid games in general this term have been pretty low-scoring. 75% of their away games have produced under 2.5 goals and while things have opened up a bit in their recent fixtures, 4 of their last 5 on the road in La Liga have still produced two or fewer goals. It has been a while since San Mames has been a regular source of entertainment. The lack of a natural number nine to take over the reigns from the ageing Aritz Aduriz remains a big problem and Athletic average just 0.94 goals per game in La Liga this season. Only two sides have worse records and 56% of their matches have produced under 2.5 goals. Valladolid are another team averaging less than a goal per game and backing Under 2.5 Goals could be worth considering here. Athletic look the more likely victors, mostly due to the bounce that they seem to have picked up from the coaching change but they are still a little short here with the bookies given how poor they’ve been this season overall and how few games they’ve been winning. Athletic have kept three LaLiga clean sheets in a row for the first time since January 2018. 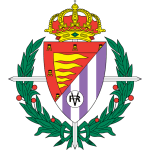 Real Valladolid have only won one of their last seven LaLiga games (D2 L4), but that win came in their last away outing (1-2 vs Real Sociedad at Anoeta). Valladolid have scored six goals from crosses in LaLiga this season; no other side has more (level with Alavés and Celta de Vigo). Real Valladolid have scored just four goals in the first half of their matches in LaLiga this season, the joint-fewest of any team alongside Villarreal. Athletic’s Iñaki Williams has failed to score in each of his last 39 LaLiga appearances at San Mamés; he scored his last goal at home in the competition in December 2016 vs Eibar. Athletic’s Markel Susaeta has scored four goals against Real Valladolid in LaLiga; against no other opponent has he bagged more (level with Sevilla). Real Valladolid boss Sergio González is winless in his three managerial games at San Mames in all competitions (D1 L2). Athletic’s Gaizka Garitano has kept back-to-back clean sheets for the first time in his managerial LaLiga career (63 games).